Popular historic sites such as Palatine Hill and Basilica di San Pietro are in your itinerary. Give yourself a bit of retail therapy at Via Condotti and L'Artigianato. 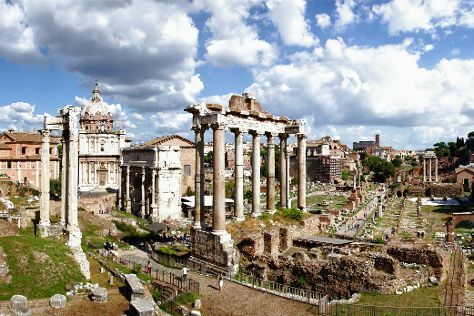 And it doesn't end there: get to know the fascinating history of Piazza Navona, admire the striking features of Pantheon, wander the streets of Campo de' Fiori, and steep yourself in history at Roman Forum. If you are flying in from Ireland, the closest major airports are Leonardo da Vinci–Fiumicino Airport and Ciampino–G. B. Pastine International Airport. In October, daytime highs in Rome are 26°C, while nighttime lows are 15°C. Wrap up your sightseeing on the 3rd (Fri) to allow time to travel back home.